American novel, The Invisible Man, is born(d.1994). slaves illegal, to take place January 1, 1808. 1877 - Inventor, Garrett Morgan, is born. and guitar player, Bobby Womack, is born. 1957 - The African country of Ghana gains independence. American nurse to serve in active duty in World War II. by 100 Southern Senators and Representatives. commissioned to plan and develop Washington, D.C.
1932 - Andrew Young, Georgia Representative and U.S.
permanent settlement now known as Chicago, Illinois. 14th 1933 - Composer, musician, and music producer Quincy D.
16th 1806 - Norbert Rillieux, inventor of sugar refining, is born. city to integrate lunch counters. serve a full term in the Senate, dies. 1910 - Civil rights advocate and former director of the A. 1901 - William H. Johnson, painter, is born in Florence, S.C.
style, Ornette Coleman is born, in Fort Worth, Texas. 1910 - Internationally known artist, Allan Rohan Crite, is born. 1899 - British and French reach an accord about West Africa. 1902 - Blues composer and singer, Eddie James "Sun"
1934 - Award winning actor, Al Freeman, Jr., is born. 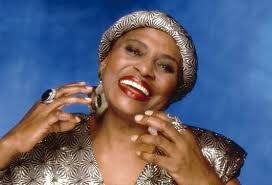 1945 - Diva, Arnetta Corprew, is born. 1955 - Walter White, NAACP leader, dies in New York City. 1975 - Ethiopia ends monarchy after 3000 yrs. of South Africa, with Sam Nujoma as President. federal Court to begin desegregation of all schools. 23rd 1873 - Puerto Rico abolishes slavery. 1910 - The National Urban League is Founded. 1916 - Marcus Garvey arrives in New York from Jamaica. 24th 1837 - Canada gives Blacks the right to vote. his opposition to the Viet-Nam War. 1931 - The Scottsboro Eight are arrested. 1942 - The "Queen of Soul", Aretha Franklin, is born. 26th 1872 - Thomas J. Martin, patented the fire extinguisher. end segregation of it's students. 27th 1924 - Sarah Vaughn, Jazz vocalist, musical legend, is born. Theatre of Harlem, is born. 28th 1799 - The State of New York abolishes slavery. Seminole Negroes, in Kansas, begins. 1918 - Singer, actor, Pearl Bailey, is born(d.1991). grades by the Fall of 1967. American to train as an astronaut. as the 1st African Cardinal of the Modern Era.